October 26th, 2008. The Genesis just had its twentieth anniversary, but this date also celebrated a premiere for Sega’s 16-bit wonder. 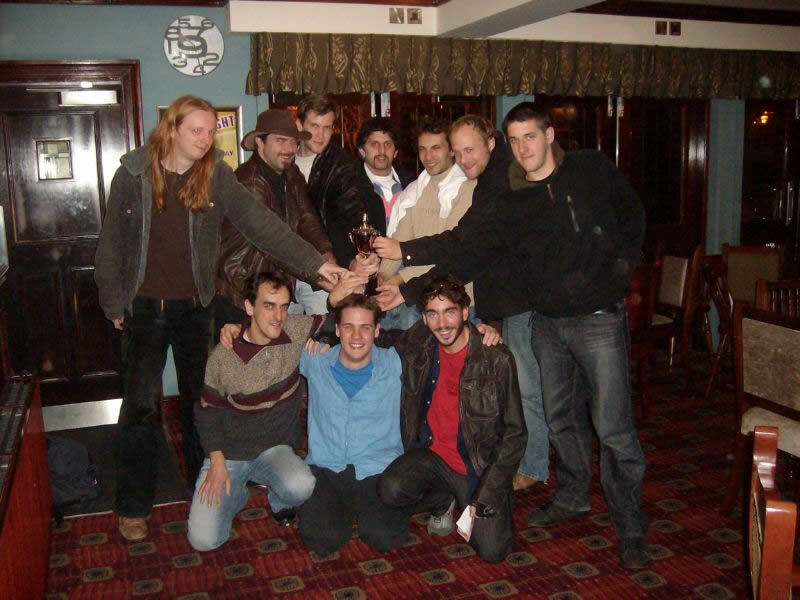 On that fateful day in Nottingham, England, teams from three nations faced off in the first European Mega Drive Championship to determine which nation held the best players the console had ever seen. Originally, six teams had announced interest in tournament. Ireland, the winner of the previous Anglo-Irish tournament, was expected to be the big favorite for the title. Unfortunately, Team Ireland pulled out of the tournament as did Team Sweden, while Scotland wasn’t able to put a selection together. The three remaining teams had selected their contenders all differently. 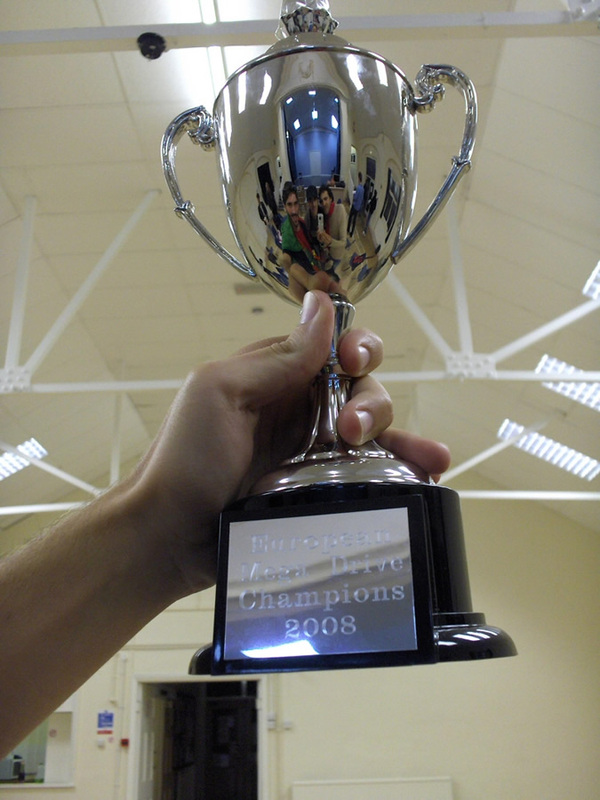 Host England chose the best three players of their last local championships to represent their country. 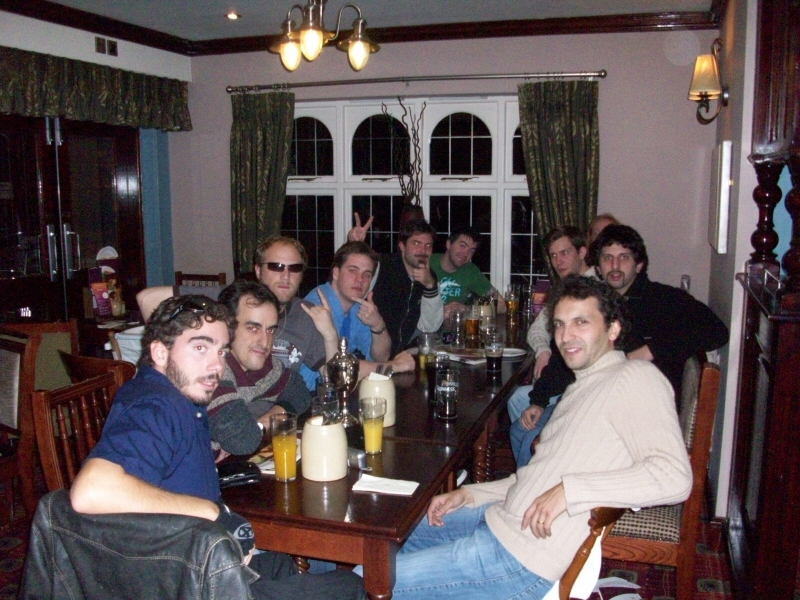 Alberto Campos, organizer and former champion of the Portuguese national championships, chose his two teammates by merit – a necessity since each player had to finance the trip to England on their own. Germany faced the same problem, but was at a further disadvantage since they didn’t have a national championship. By forum posts and emails, team manager Sebastian Sponsel finally found four players (including himself) eager to face the challenge and willing to travel. In a small tournament those four determined who would go to England – some of them hadn’t met face-to-face before the day of the try outs. The day before the tournament the contenders met face to face in good spirits. The local news had already reported on the upcoming tournament, particularly focusing on the fact that England and Germany would face off at World Cup Italia ’90, daring their compatriots to “rewrite history.” As one member of Team England put it, “It seems like (the papers) can’t report on anything without referring to football!” Already some sort of friendly rivalry had formed between the teams. Still, everyone got along great – even though the opportunity was also used to discuss strategy and tactics, like the opponent’s favorite character in Street Fighter II, or England and Germany agreeing to choose their respective national teams in World Cup Italia ’90. However, that match up would only been one of thirty matches in twenty-seven games that had been selected by each team in advance. Apart from true classics, like Sonic 2 or Mega Bomberman, there had also been the odd rarity that each team had chosen. England counted on a victory in Rugby World Cup ’95, Germany was ridiculed by both English and Portuguese for the odd choice of Speedball 2, and Portugal confused everyone by selecting Dragon Ball Z for the tournament. The tournament didn’t kick off with the anticipated match of soccer but instead opened with a blast – a three-way-game of Mega Bomberman. From the very beginning, each participant was right into it. The contenders cheered on their teams enthusiastically, most apparent perhaps when the winner of the German tryouts, Tobias Berg, encouraged by the chants of his teammates, crushingly defeated stunned English champion Lord Dilks, who up to this day had gone undefeated in this game at local tournaments 7-0! A member of Team Germany summed it up thusly: “Near the end, we ran out of songs to sing!” With rather unexpected wins like that, the outsider Germany managed to manifest an early lead, mostly to their own surprise. However, Portugal soon caught up. The highlight of the tournament was definitely match twenty-one, the three-way race of Micro Machines ’96. By that point of the tournament, Portugal and Germany were locked in a brutal draw, while England, by then almost out of the picture, still clung viciously to life. What had been expected to be a short race on the track “Bathtub Burnoff” would turn out to be one of the longest and definitely the most intense matches of the tournament. At several points, every single contender was either at the brink of elimination or missing a single point to victory, only to see another player suddenly rise up and take control. Teammates were already cheering for what was assumed to be an assured win only to see it taken away again. More and more, it became apparent that whoever would win that race would probably win the tournament. It remained suspenseful right until the very end. In the final, thirtieth match, Portugal and Germany faced off one last time. Portugal headed the championships by a small margin, but if Germany won that final game they could still turn the outcome around! In Street Fighter II, Ken and Ryu would fight out the victor. After thirty games and about five hours of intense gaming, it was over. Ken had won the final match and crowned Portugal to be the first European Mega Drive champion! It definitely was a great tournament, and everyone had a great time. 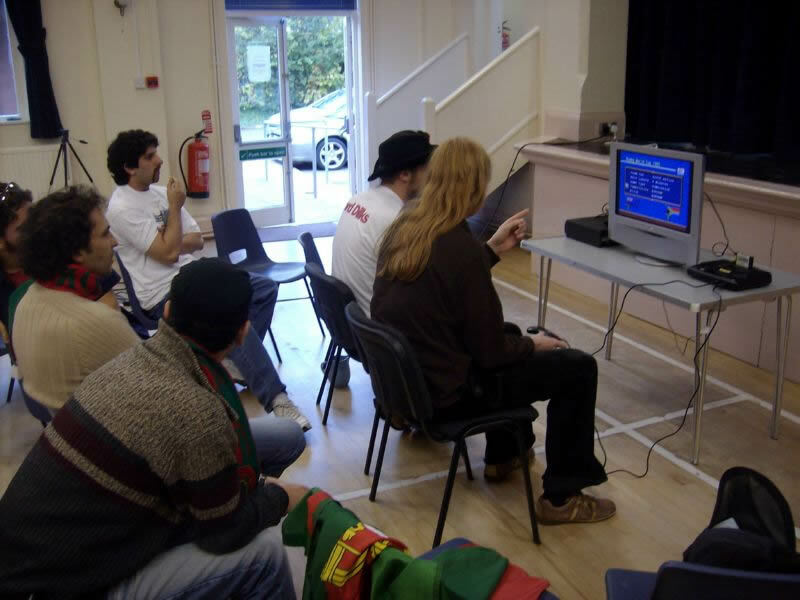 Team England was a great host and a graceful opponent, even though they declared themselves to be “the whipping boys of (Mega Drive) Europe.” The German participants never expected to stand a chance but found themselves missing the victory by a hairs width. themselves greatly encouraged by the experience and formed first plans for a German national tournament. And Portugal, putting up a great game, proved to be true champions and deservedly earned the cup. In the aftermath of the tournament, new plans were made. 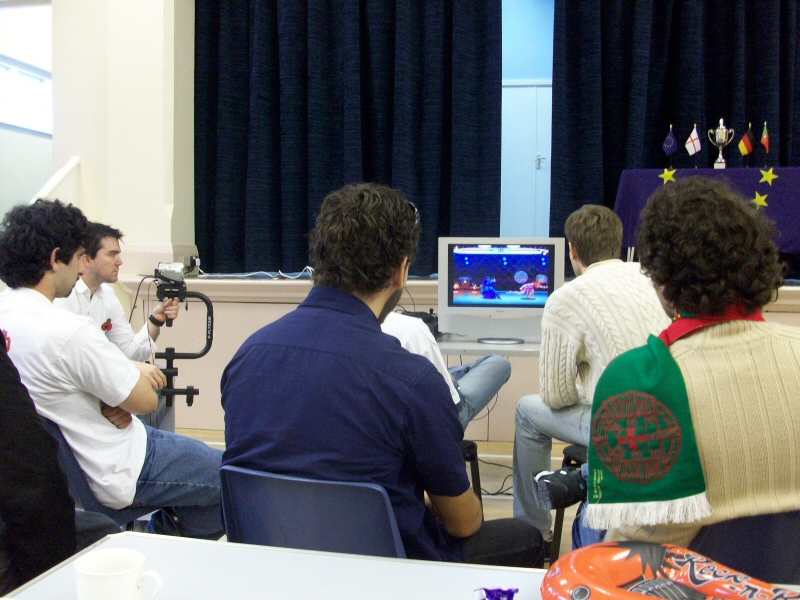 A great time was had by all, and we are all looking forward to the Second European Mega Drive Championships in 2009! May more countries follow the call and face the challenge! If they don’t – they will miss out! Again, many thanks go out to Mr. Smith, who was a great host and MC at the tournament, and all the organizers who made this tournament possible. And Congratulations again to Portugal, Europe’s Mega Drive nation number one!